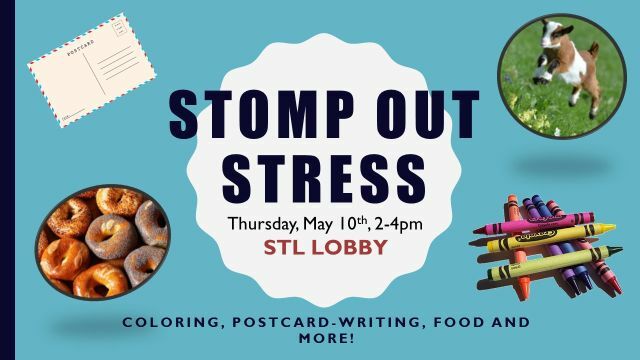 Stomp out stress is a library tradition helping students to handle stress during academic crunch time. Eat a cookie while stretching your creative faculties or just messing around with like mined students. Activities that take you out of your normal pattern of activities help break the grip of stress and help you function better with whatever you do next. Several other related events such as therapy dogs visiting us right here in the library are all part of the fun.